I don’t know anyone who doesn’t love fudge. It doesn’t matter what the occasion – or no occasion at all – a couple pieces go down nicely! 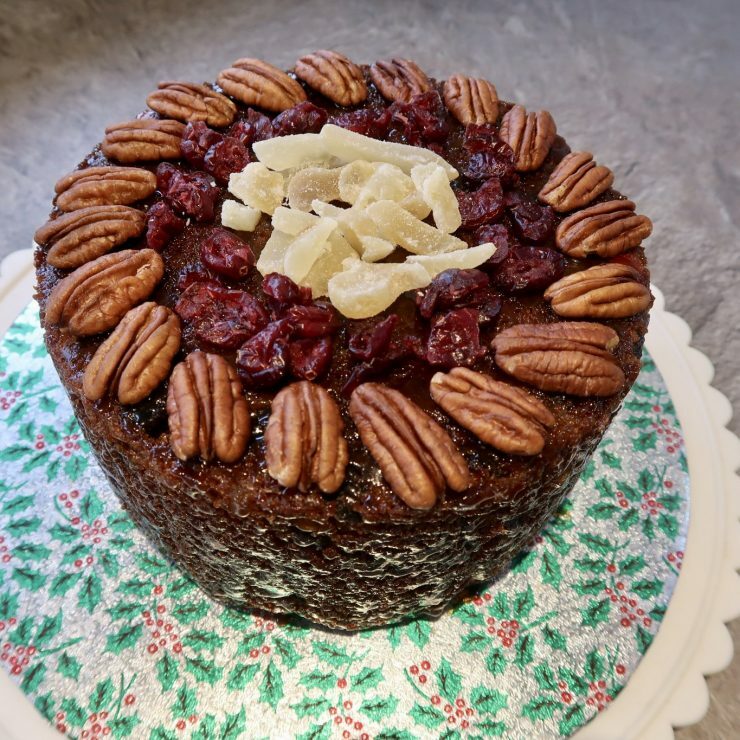 I have the best recipe, it has never failed me yet and everyone always raves about it. I usually nod and smile and say it’s nothing, and it’s assumed that I’m being modest. But I’m not – it really is nothing! 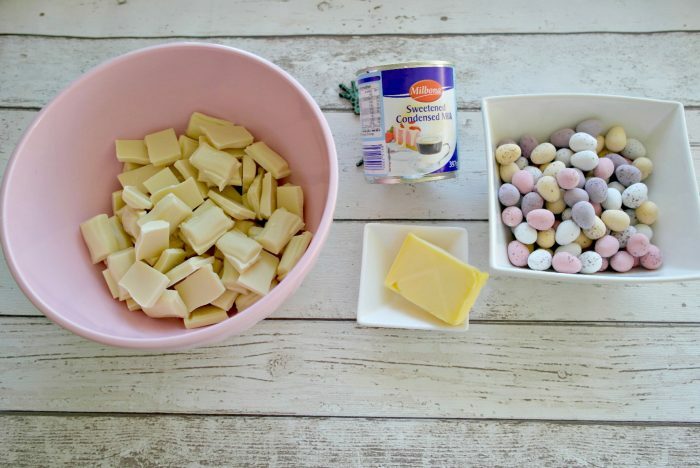 This white chocolate fudge uses just three ingredients and is so easy to make. Seriously – no skill required what so ever. 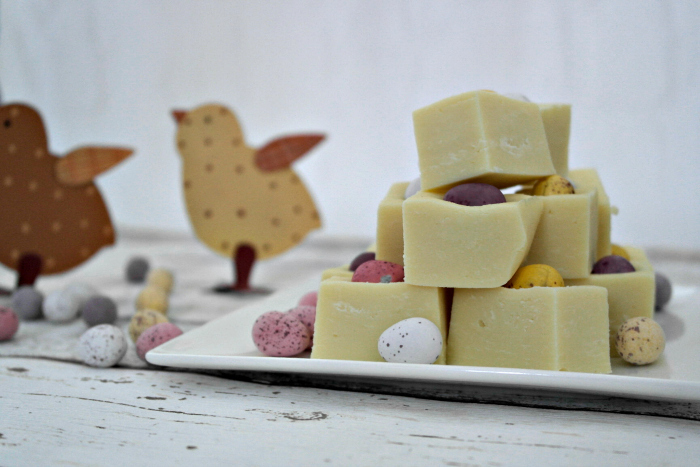 It’s the perfect fudge to make with kids, and with the mini eggs makes for a fun Easter treat. 550g White Chocolate – I notice a real difference when cheaper chocolates are used. Personally, I prefer to use a mixture of higher quality chocolate for flavour and cheaper chocolate for bulk. Break up the chocolate and then pop it in a bowl with the butter and condensed milk. All you need to do now is melt it! If you’re feeling brave you can do it in short bursts in the microwave. Personally, I prefer a little more control and so I put a pan of boiling water on the hob and place the bowl on top of it. This prevents the chocolate from burning. Keep stirring the mixture until it is smooth of glossy. Add the salt at this stage if you want to include it (it takes the edge off the sweetness slightly). Line an 8″x7″ glass dish (I like to use a reusable baking sheet) and pour the mixture into it, smoothing it with the back of a spoon. 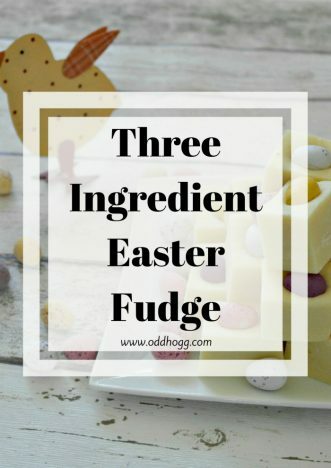 While it is still warm, prod the mini eggs into the top of the fudge slightly. Place the dish into the fridge for a minimum of 4 hours to set – but overnight is best. Slice the fudge into whatever size suits you and serve! This looks amazing. I’ll have to try it out.